Joan Aiken was a skilled artist and produced some beautiful pastel drawings while brooding over her plots, some of them can be seen here, but this little doodle on the back of an envelope suggests a rather different, very un-fertile state of mind, brought about by the distractions and endless pressures of daily life (Gas in barn? applesauce?) and recalls the dreadful to-do list that accumulates unbearably when you have something you would really like to be getting on with, but can’t let the ‘shoulds’ go – or in Joan’s case, the ‘oughts’. 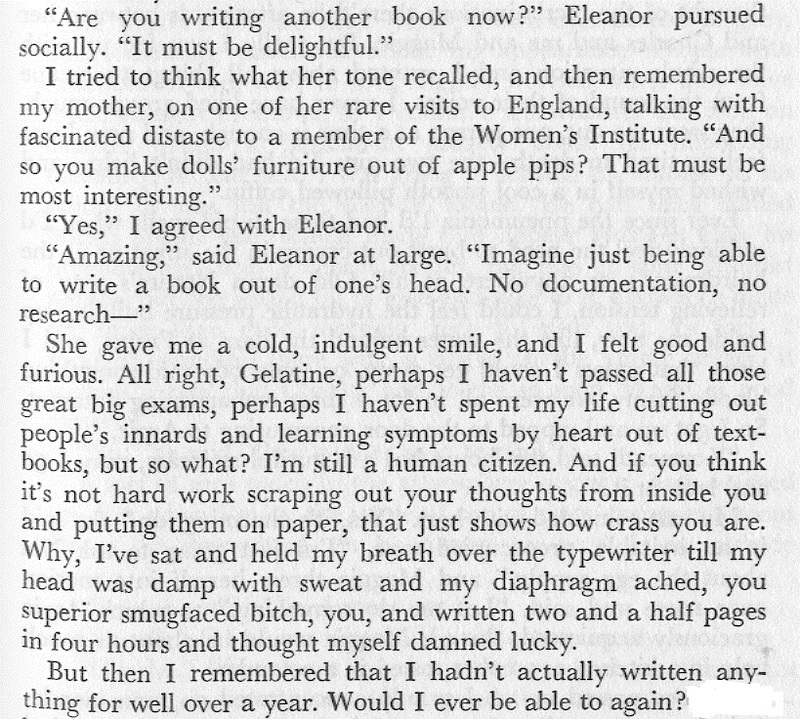 Here’s a selection from one of her many TO DO lists – a very personal expression of her state of mind, and by no means the whole of it, emerging furiously from her typewriter! 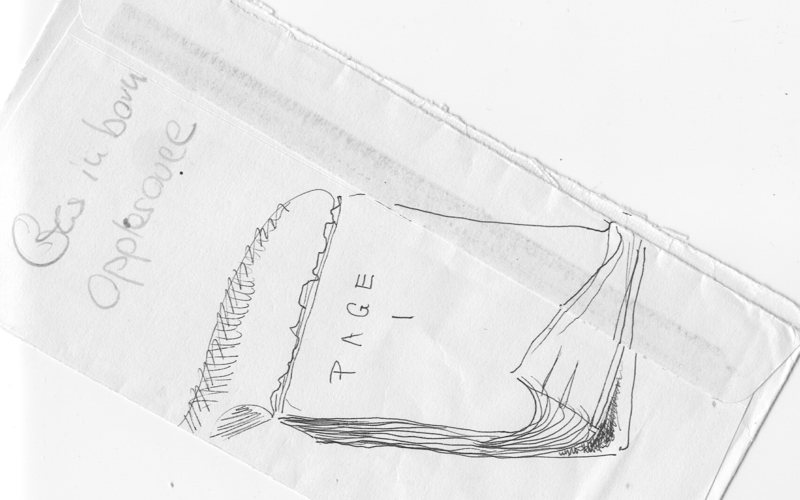 This is clearly drawn from her own experience, but despite the cold fear it expresses, Joan Aiken was also familiar enough with her craft to have learned how to avoid coming to a total standstill in her writing, by having more than one string to her bow, and as the list up above suggests, she always managed to keep several projects in hand in case one of them stalled. Having, like her heroine. also been published at the early age of seventeen, and managed for most of her life to earn a living from her work, she had obviously learned how to strike a balance between the dreaded ‘to do’ list and the project that was really close to her heart – writing The BOOK! Have you heard about The Joan Aiken Future Classics Prize 2019? Are you managing to press on with your own book despite current distractions? A Pop up Nantucket Whaler from Japan. 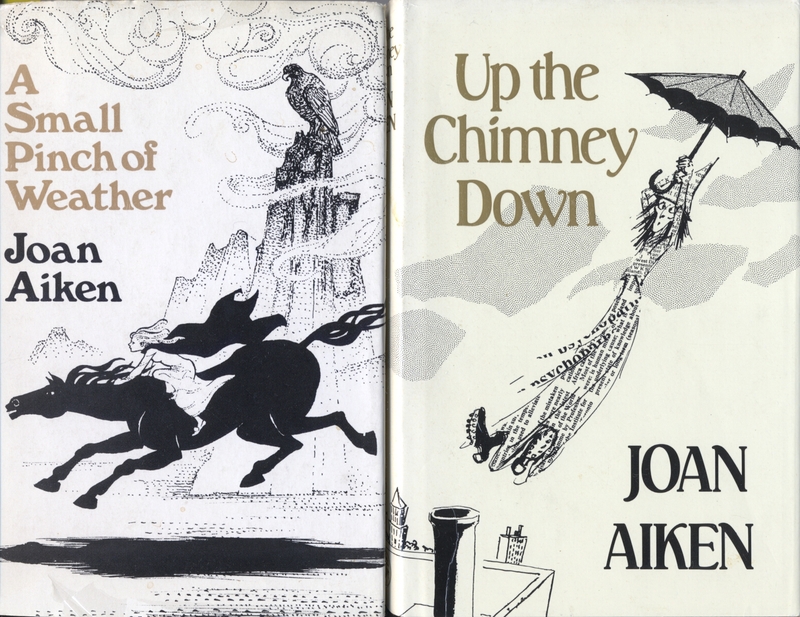 Joan Aiken has inspired, and herself created, some beautiful art work, often with Japanese and also sea-faring connections. 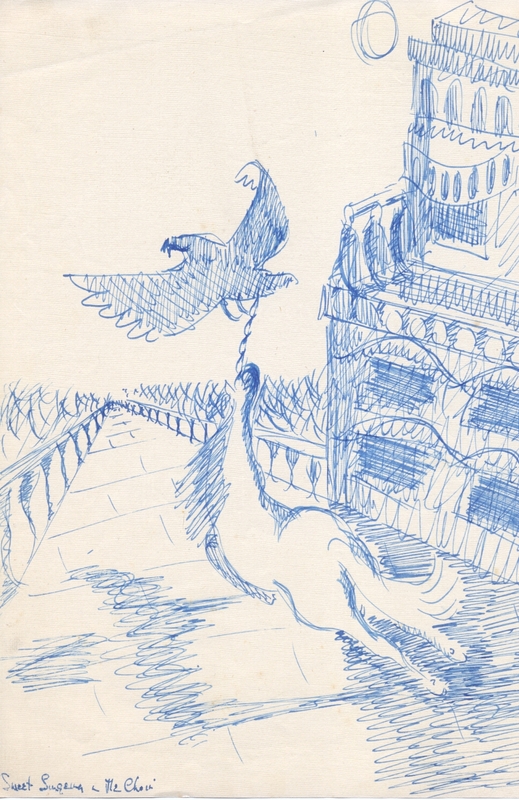 Conrad also supplied her with some very fascinating picture books, which inspired some of her own drawings – here’s an early Christmas card – it could almost be a Night Bird? Although the sea and sailing ships often feature in Joan Aiken’s books, one story which was particularly near to her heart, was set in the countryside close to her childhood home. Joan Aiken would probably be astonished to know what devotion, and artistic creation her writing still inspires…long may it continue! Many thanks to all of you who have visited and shared your thoughts here throughout the year! 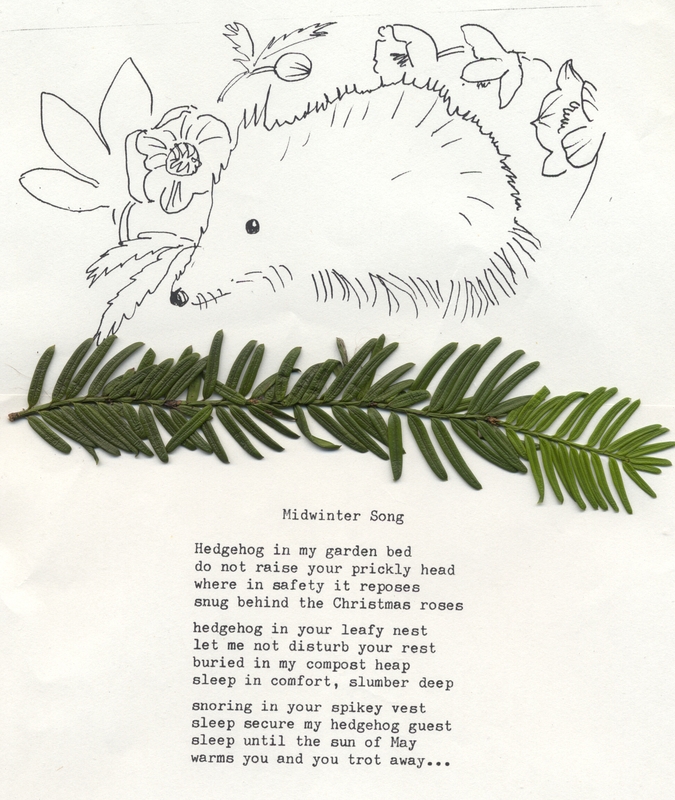 I do hope you will come again – and bring your friends… Here is a poem and drawing by Joan to celebrate the passing of Winter and the return of Spring. This original Edward Gorey sketch for the cover of Joan Aiken’s The Cuckoo Tree (which sadly I don’t own..!) was in fact inspired by Pat Marriott the artist who originally illustrated Aiken’s ‘Wolves’ series, and who had been introduced to her in the 1950’s by publisher Jonathan Cape. The artists’ styles do have a certain similarity, and often Pat’s illustrations have been mistakenly attributed to Gorey, or even to another Edward – Ardizzone who was also popular in the 1950’s and 60’s. 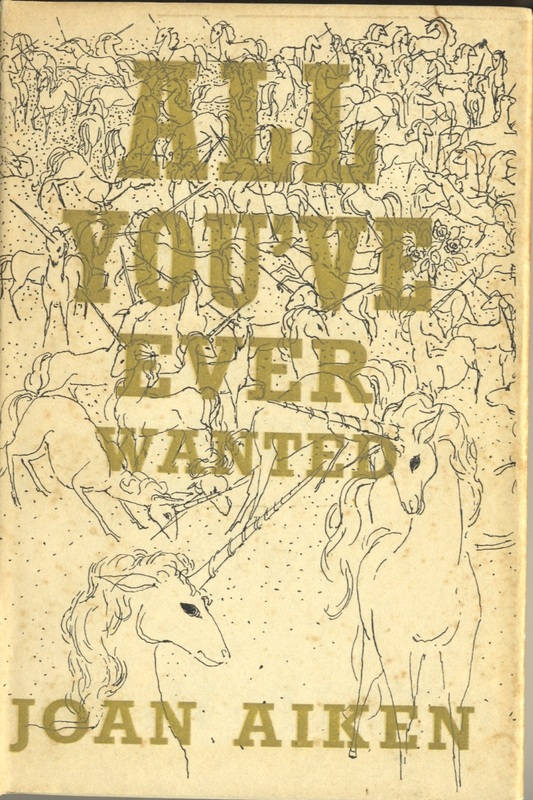 Coming from the pre- internet generations, Pat never had a website to immortalise her work, and although he original illustrations are still included in the UK editions of the books, thanks to the current classic Red Fox paperbacks, I would like to make sure Pat Marriott’s timeless images are remembered! 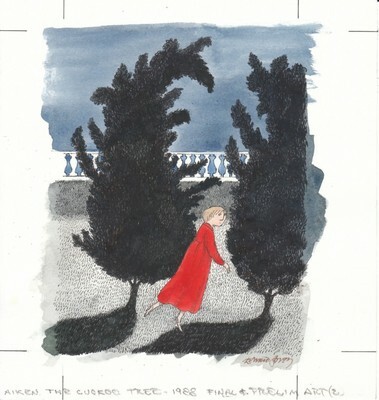 Here below is Pat’s drawing, much more closely related to Aiken’s story, and which clearly inspired the later picture above; while hers shows characters one recognises from the story, Gorey’s has a stylised small girl in a frock – a frock??? Dido Twite is usually dressed in her midshipman’s garb, and only willingly wore a frock once in her life, when dear Sophie made her a new blue merino to wear to the fair… But Gorey does bring to life the overhanging threatening trees as seen by Dido, and they echo her own eavesdropping on the evil plotters while under the effects of the hallucinogenic Joobie nuts – very much as Marriott first imagined them. It is certainly fascinating to have the opportunity to compare the two. 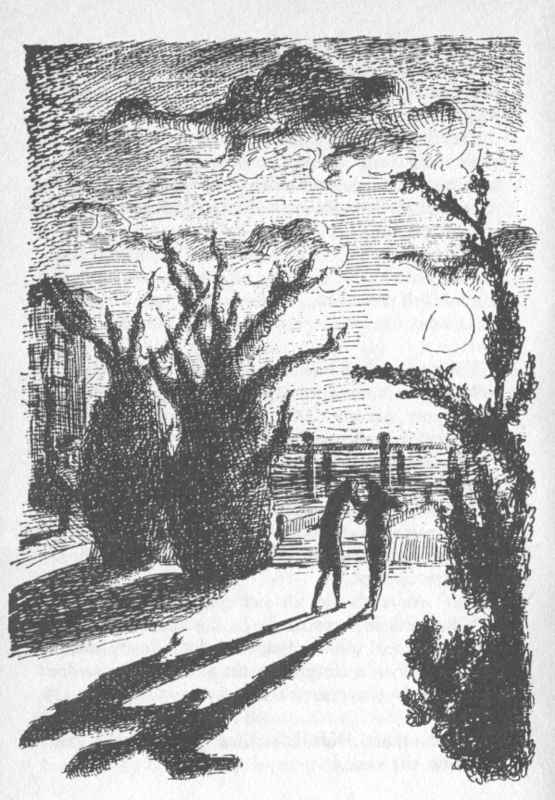 The partnership between Joan Aiken and Pat Marriott lasted for forty years, during which time Joan Aiken wrote eight of the twelve ‘Wolves’ chronicles, for which Pat’s illustrations received reviews as positive as those for the books themselves, as did her work and covers for all of Joan’s classic collections of fantasy stories, also published by Jonathan Cape, in a handsome set of black white and gold editions . This partnership was so inspired it deserves to be more widely celebrated, like that between Quentin Blake and Roald Dahl, whose depictions of characters like Matilda or the BFG seem to belong to the writer and illustrator inseparably. Joan Aiken writes about Pat, and other fruitful illustrator partnerships here. “They are delightful, full of character, and exactly the sort of thing I was hoping for…I should like to congratulate the artist.” Her only reservation about one drawing – “The governess is a little too sweet and amiable…” A premonition of evil governesses to come, perhaps? Their friendship was to last a lifetime. See the full collection of Edward Gorey covers for the Wolves Series here. And some of Joan Aiken’s own work.